U-Michigan part of new network to build sustainable, livable cities. The University of Michigan is one of nine research universities in a new international effort, funded by a $12 million award from the National Science Foundation, to build better cities of the future. 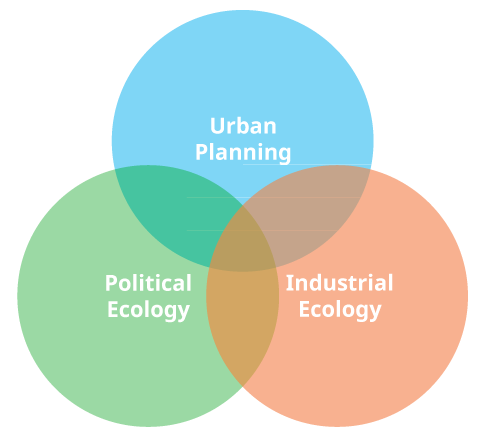 Developing a Science of Infrastructure Ecology for Sustainable Urban Systems. This article proposes the concept of infrastructure ecology as a way to analyze, via analogical mapping of urban to natural systems, the complex interdependence of urban infrastructure systems, and offer four fundamental research questions to foster the science of this new concept. This paper develops a political-industrial ecology approach to explore the urban water metabolism of Los Angeles. Formed in 2010, the Urban Sustainability Research Group is devoted to developing and fostering an integrated, holistic vision for urban sustainability and resilience. This research emphasis stems from the conviction that to mitigate (and adapt to) climate change and to address global ecological crises, we need to fundamentally reshape and redesign our urban areas–where more than half of the world’s population already lives, works, and consumes. The current research undertaken by the group focuses on four major themes: 1) Urban Resilience: 2) Urban-Rural Resource and Commodity Flows: 3) Green Infrastructure; and 4) Political-Industrial Ecology. This research is supported by a range of institutions and agencies, including the National Science Foundation, the National Aeronautics and Space Administration (NASA), and the National Institute of Food and Agriculture (NIFA). Joshua Newell from the School of Natural Resources and Environment leads the research group, which includes Postdoctoral Research Fellows, Ph.D., Master’s and undergraduate students, with strong support from affiliate faculty such as Ming Xu . The Research Group is closely aligned with the Center for Sustainable Systems, where Newell and Xu are also core faculty. For general inquiries and more information, please contact Joshua Newell at jpnewell@umich.edu. With the dramatic growth of urban areas and the majority of the world’s population now living in urban settings, cities have become dominant demand drivers in global resource cycles. Globalization processes have intertwined cities with distant places and spaces through system interactions that include the exchange of food, energy, water, materials, capital, and the like. City and ‘hinterland’ have become highly interconnected and interdependent at multiple spatial, temporal, and jurisdictional scales. Cities are increasingly evolving into agglomerated networks of polycentric urban regions, often referred to as megaregions that are spread over large territories with interdependent infrastructure, transportation networks, economies, ecologies, cultures, labor markets, infrastructure, and land use systems. Vast territories of land dedicated to the production, extraction, processing and transportation of materials and resources and their associated networks can no longer be seen as external to urban development, but need to be considered part of the urban “system”. Thus, cities are complex, adaptive, emergent systems composed of sub-systems—built environment, metabolic flows, governance networks, and social dynamics—that themselves are multi-scalar, networked, and often strongly coupled. Addressing urban sustainability issues in a thoughtful and integrated way, therefore, requires combining disciplinary-bound strengths and perspectives. Differences in epistemology and disciplinary culture can make this synthesis a challenge, but it is necessary to develop a deeper understanding of nature-society interactions; to enable cross-fertilization of novel theories, methods, and approaches; and to provide innovative and transformative responses to societal problems. Students seeking a field of study committed to the intersection of the built and natural environments will find the work of URSG both fascinating and fulfilling. 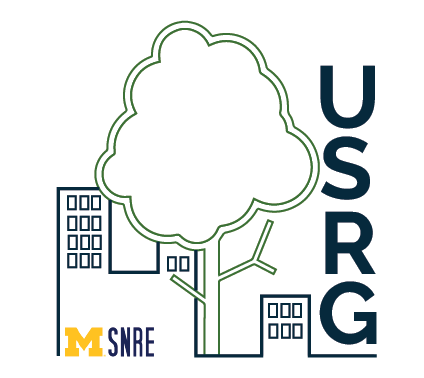 Not only are there opportunities to work with the Group, but the University of Michigan’s School of Natural Resources and Environment also offers a variety of courses to facilitate an interest in urban sustainability.